This particular unit will make a great investment property, second home, or permanent residence. This beautiful 2BR/2BA condo has many improvements to include completely re-modeled kitchen and bathrooms. It has a very large separate owners closet in the hallway. It's just a 3 minute walk to one of Destin's most beautiful beaches and only a few steps to a terrific pool with clubhouse and tennis courts. 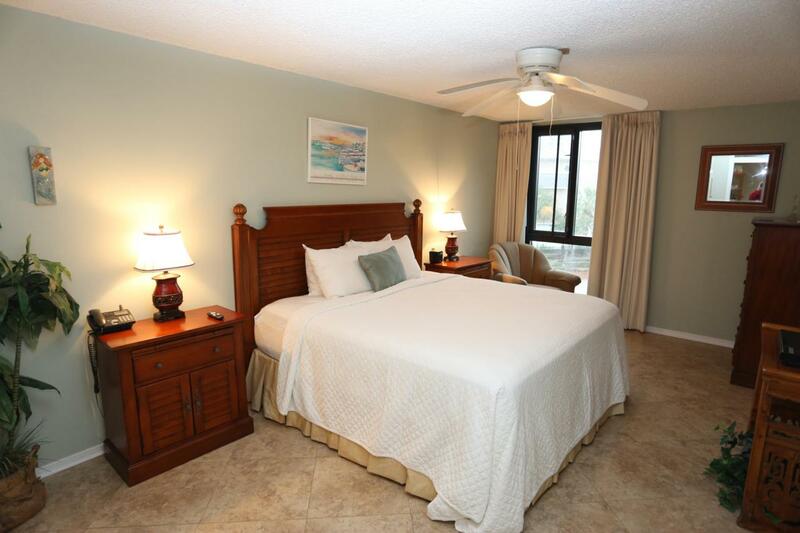 The entire complex has recently upgraded windows, sliding doors and AC units. Because the complex is relatively small and very quiet many owners have made it their permanent home. NOTE: The following items do not convey: Curio cabinet and it's contents in the hallway, Coi Fish painting, Arizona sand painting in bedroom, Small wooden carved end table.